ZSL London Zoo’s most majestic of residents celebrated success this World Lion Day (Friday 10 August). The pride celebrated a conservation success as Asiatic lions numbers continue to increase. ZSL London Zoo’s lionesses, sisters Heidi, Indi and Rubi, marked World Lion Day (Friday 10 August) with specially designed Boomer balls (enrichment), designed for large, strong, animals to play with. The balls were painted with a burst of vibrant colours inspired by Gujarat, home to Asiatic lions in Western India and scented with the pride’s favourite aromatic herbs and spices for the feline festivities. ZSL’s Zoological Manager, Mark Habben said: “Scenting the balls encouraged our pride to use their incredible sense of smell to track it through their territory before using their sharp claws to tear into it – acting as a natural manicure for our lionesses. ZSL has continued to work in close partnership with the Wildlife Institute of India and Gujarat Forest Department since 2015, recently providing state of the art equipment while working closely with Sakkarbaug zookeepers and vets to exchange expert knowledge. The teams have upgraded the enrichment activities provided to the pride of lions at Sakkarbaug Zoo, encouraging the powerful mammals to use natural behaviours such as their incredible sense of smell, just as London’s resident lions used on World Lion Day. 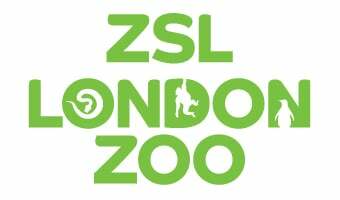 ZSL’s contribution to this conservation project has been supported by Liontrust, the specialist fund management company. Mark Habben continues; “Asiatic lions are growing in numbers but with approximately only 600 Asiatic lions left in the wild our work to save this incredible species continues.